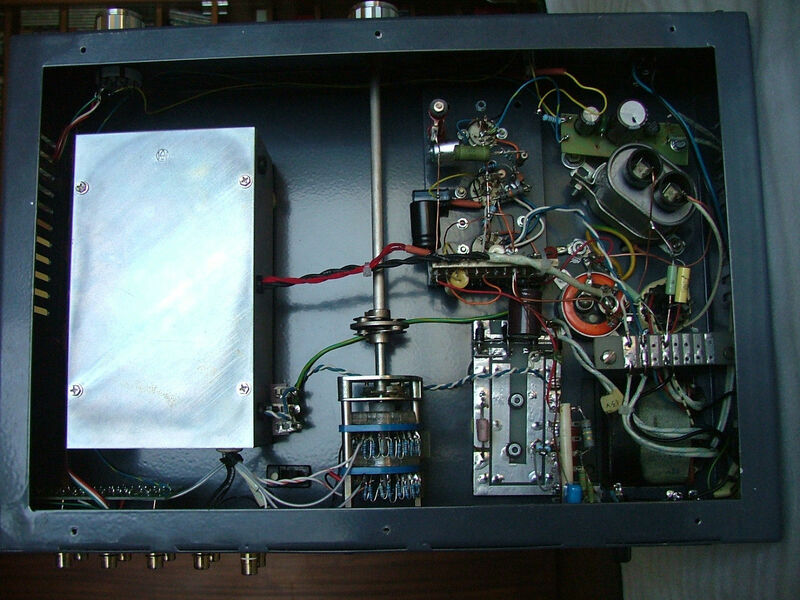 Gain stage itself (16db in four ECC82 version) is put in a small box inside the preamplifier chassis to be shielded from power supply and to improve s/n ratio. Power transformer is custom made on EI 96 core, power supply is fully tube regulated using ez35, 6c19 Svetlana tube, 6n2p tube and 85A2 voltage reference tube and a choke is used too. 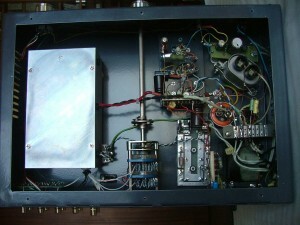 HQ stepped attenuator is used for precise volume adjustment, the signal path is made in point to point technique with NOS parts (all tube noval sockets are Philips Holland). 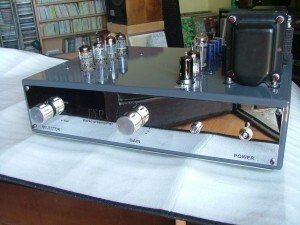 Preamplifier is build like a tank, with rather unique design, simply looks like it can work for next 100 years! It has 3 pairs of line inputs and two pairs of outputs, RCA type only. It uses Gain stage ecc82(12au7) tubes – 4 pieces but there is a version with pair of rarely used but magnificent ECC40 tubes with even higher gain most suited for driving 2A3 or 300B power amplifiers-monoblocks. And finally, listening. So, it produces perfect soft tonal balance, quite analog sound with outstanding vocals while keeping itself deadly quiet, just like tube gear shall sound. I would say that can be easily recommended for LP vinyl lovers and in my opinion outperforms anything else in price range of several thousands of dollars. Playing with tubes can easily yield even more spectacular results here… Currently, I am using it with again custom-made LifeForce 55 well known power amplifier and must say that I am more than satisfied. The preamp itself is hand-made by one of the best tube-gear makers in Serbia – Dusan Markovic who specialized for all tube-based gear not producing huge series but a jewelry like this from time to time, all with love and pride. HIGHLY RECOMMENDED! This entry was posted in Audio Gear and tagged Preamplifiers by luckyz. Bookmark the permalink. I want to thank you for review! You`re welcome Dule, I hope I will get some of your tube monoblocks one day.